The Nightclub Dilemma - Bartender HQ, Cocktails, Bar Culture and More. The Nightclub is quickly becoming a more and more difficult proposition. With the nightclub dilemma of high price experiences or low prices to tempt the post pub crowd to carry on their night, what’s the right formula for a nightclub in 2018? The nightclub was king, at least in the UK up until the Licensing Act 2003 came into force in 2005. Until then almost all bars were required to close at 11pm unless they were nightclubs. This meant that these late night establishments would fill up from around 10pm with those looking to avoid huge queues after 11pm. Customers paid hefty admission fees as well as high prices for the drinks inside, as there was no other option for late night drinking. Nightclubs would typically have to offer food, and were split between small bars and large dance clubs. Many were open 7 nights a week and would operate different music policies on different nights, building multiple audiences. Student nights, Northern soul, RnB, Electronic and more were seen at multiple nightclubs in even small towns. The late 90s and early 2000s were the era of the superstar DJs, Ibiza, Aia Napa, Gatecrasher and the Ministry of Sound. The Licensing Act 2003 allowed regular bars to apply for extended opening hours on a regular basis, removing the monopoly that the nightclub business had enjoyed on drinks after 11pm. Even where bars opened just an extra hour, this was often enough to remove the incentive to get to a club at all. 11pm was always a slightly too early limit, which had originally been enforced at 10:30pm to keep workers fresh for the war efforts the following day. These laws were relaxed to 11pm in the late 80s, when the requirement for pubs to close in the middle of the afternoon was also dropped. Coupled with the reduced demand for nightclubs due to pubs staying open later, the smoking ban indoors at least initially made nightclubs smell far worse. The smell of smoke had been masking the combination of stale beer soaked carpets and the sweat of partygoers for years. With this gone, there was nowhere to hide. People quickly learned the benefits of deodorant for late night drinking. As a result of these changes and market forces, many nightclubs dropped their prices, offered free drinks on a high cover charge (with too few staff) or folded all together. There was no longer an incentive to leave the pubs a little earlier to avoid the queues as there was no longer a uniform closing time at which everyone would head to the nightclub. The long queues themselves had long been used as a marketing technique of the clubs to show how popular they were. Entry was being slowed deliberately to keep a long line, suggesting the club was already at capacity, and encouraging people to come earlier next time. Now many bars would be actively promoting outside the bars trying to get people in to spend and keep the lights on. Fast forward to 2018 and Nightclubs are still not having it all their own way. The numbers of people who drink only on occasion rather than most weekends is on the rise as consumers are more health conscious than in the past. Excessive drinking has in many cases been replaced by a thirst for experiences, festivals, escape rooms and more. Meeting people to date is now done with a swipe of an app rather than a chance meeting in a noisy drunken room. Clubs are split into a couple of main camps. Price fighters and Super clubs. While the price fighters will offer low pricing, especially earlier in the evening, they also almost always include a cover charge, though it’s more to stop people coming in, finding it quiet and leaving without buying a drink. No-one wants to waste even a pound on just walking into a room, so keeping customers in, even just for one drink might be enough to build a crowd and get the night started. These bars will often be converted pubs and are designed to collect those people wanting to extend their night more often than planning them as a final port of call. Super clubs will generally charge both high entry fees and drinks prices. They may offer bottle service for booths and charge for the privilege of a seat. The higher pricing is justified generally through bigger name DJs, personal appearances from celebrities and a high perceived value of being seen there. In addition to the above, nightclubs are also difficult to staff with reliable and experienced teams. Being busy for only a few nights a week, it’s not practical to offer most staff full time hours, which will generally make working there a side gig for most. 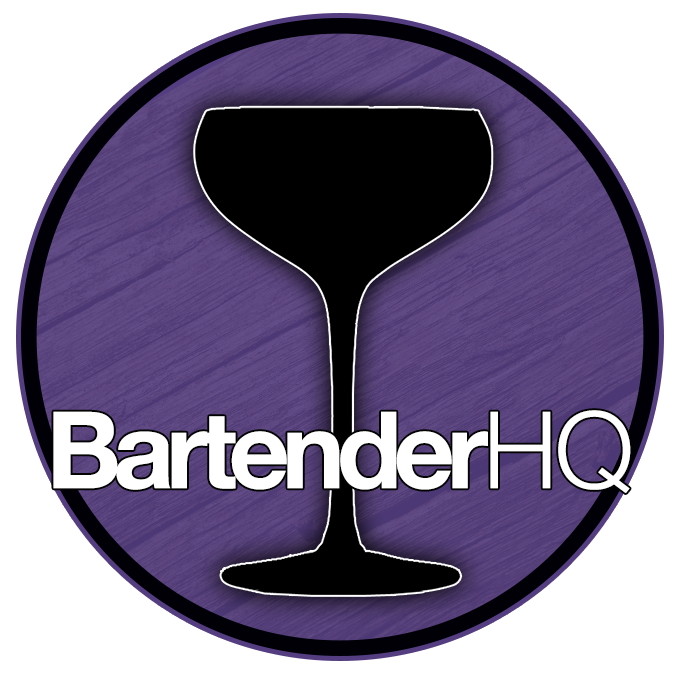 That means the more skilled bartenders who want to make a career of it and educate themselves on the product and culture of bars will generally look elsewhere, along with the the typical nightclub only offering fairly basic drinks. This of course may be a chicken and egg situation, as without skilled staff and given the high pace of service, complex cocktails are not a great idea. In most cases, nightclubs will be pouring low price, low quality spirits to maximise margins without wide ranges. Following the craft spirits trend of recent years, many consumers now recognise the value in many higher priced drinks. People barely blink at £9 gin and tonics if the quality is there, yet nightclubs are still often pouring the cheapest they can with a low quality mixer. It is understandable that clubs need to maximise their profit per drink as their opening hours are drastically shorter than most outlets, but will still be in prime locations with high land values. That rent bill needs to be paid in probably less than 16 hours a week of trading. Extending the business hours may be a key to improving nightclubs’ fortunes as it solves multiple problems. The ability to hire dedicated full time staff with the time to learn their craft. Ability to serve better quality drinks at a price point due to reduced margin pressure. Becoming a chosen destination rather than a last resort. Multi room venues that can close off certain areas make this much easier to accomplish, allowing the venue to breath with the customers flow. Its not a simple change and requires a whole new approach to the business, but it could be the best way to add value in venues that have been hit hard by recent changes. Offering real options to those who choose not to drink alcohol is also vital. If you offer food, certainly make sure you have vegan options, as that train doesn’t seem to be slowing at all. If you do open in the daytime, offer good, free wifi, plenty of charging points for laptops, phones and tablets. This is the world we live in now, there’s no point in fighting it. If you do, you will lose. Cocktails can be done well as long as they can be served at pace, so pre-batch whatever you can and allow your bartenders to concentrate their efforts on hospitality. Allow your team to showcase their personality and they’ll become the stars of the business and drive your guests to rave about what you do. I don’t know how long nightclubs as a species can survive in their current form. I do know that their model as it has been isn’t doing what it used to.